If you find yourself in downtown Sacramento on Saturday, Aug. 26, 2017, and you happen to stumble upon massive crowds of what look to be like flesh-eating zombies, don’t worry, it is not the apocalypse. You need not go into panic and/or survival mode, instead just join along on the 17th annual Sacramento Zombie Walk, a large-scale, interactive performance art event, the oldest of its kind in the world. At this free, all-ages event, everyone is encouraged to dress up and invade Roosevelt Park at 4 p.m. for the Carnival of the Dead, which will feature food trucks, live music, performances, professional makeup artists, vendors, carnival games, a costume contest and more. 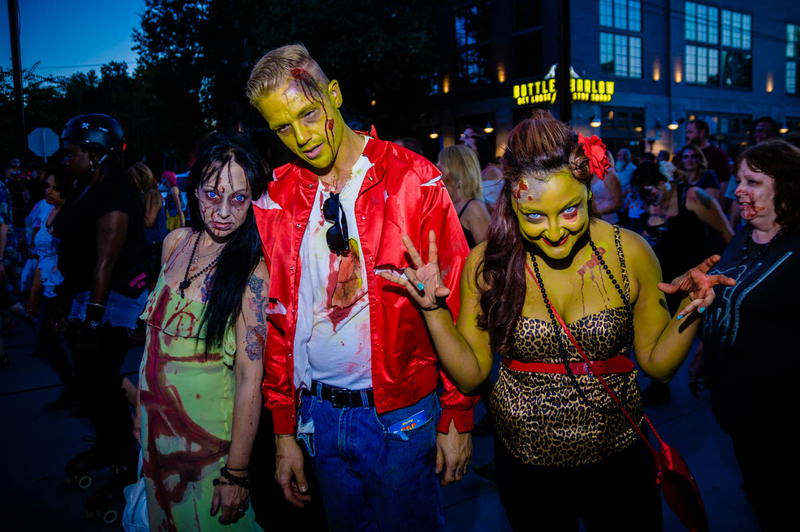 At 7:30 p.m., the actual Zombie Walk gets into action when the undead will swarm the R Street Corridor accompanied by tunes from the West Campus Marching Band. Then, at 9:30 p.m., everyone will convene back at Roosevelt Park for an outdoor movie night with a screening of George Romero’s 1968 classic Night of the Living Dead. Be sure to bring blankets and lawn chairs, because hey, zombies need to be warm and comfortable too. Visit Facebook.com/saczombiewalk for all the details.